Do you need a professional conference room for staff meetings, sales presentations or a special event? Our well-appointed conference rooms offer comfortable space for meetings of all kinds. Whether you need a conference room for a few hours a day or a few hours a week, Regency Executive Offices can accommodate your needs. 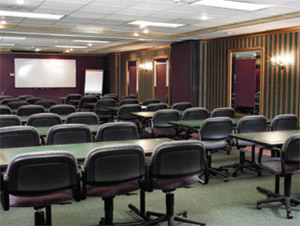 Contact Regency Executive Offices to reserve your conference room space today! 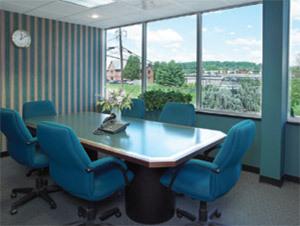 Contact Regency Executive Offices to reserve your conference room today! Need a conference room for one day out of the month or year? 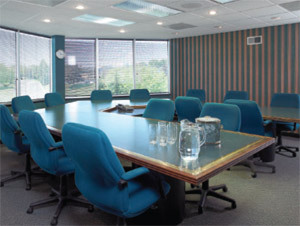 Regency Executive Offices also provides conference room rentals on a daily basis. Have questions? Need help deciding which conference room is right for your needs? Contact Regency Executive Offices and talk with our experts! Payment in advance is required for the use of all conference rooms along with a retainer. All retainers are subject to a non-refund due to any damage.